Most nameplates are one or two colors. The silk screen process offers the option to print multiple colors and also the ability to match specific colors as needed. If no drawing exists, we can recommend a thickness and printing process to fit the desired application based on a discussion with the customer. 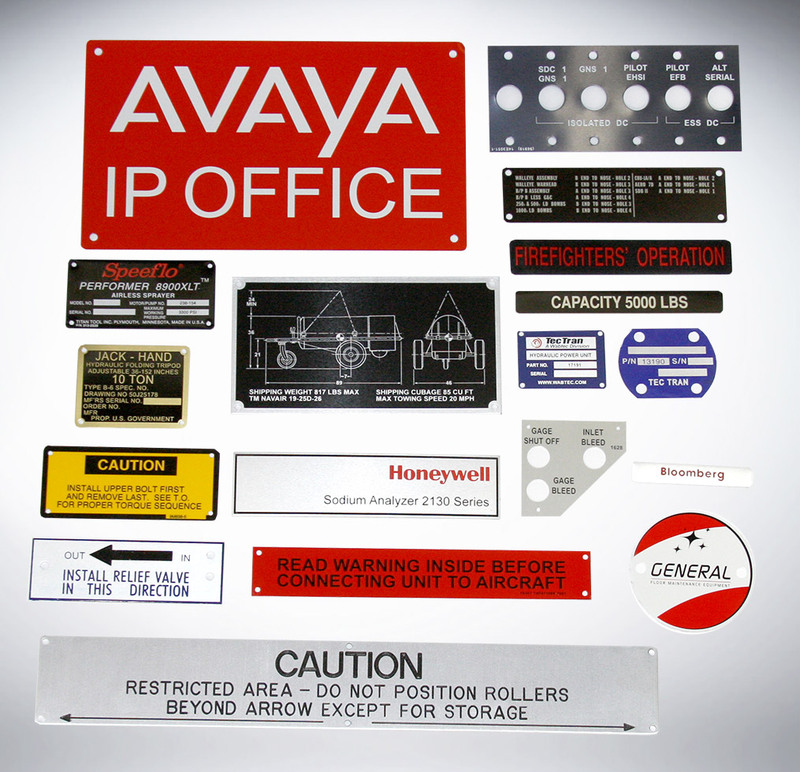 Our nameplates can be supplied with mounting holes and/or 3M laminating adhesive. We have amassed a large quantity of hard tooling required to fabricate these items. 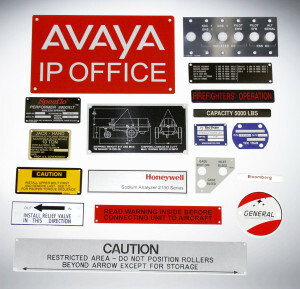 In most cases, there are no tooling costs associated with making metal nameplates. We are able to hold tolerances as tight as +/- .005”.